This year National Close the Gap Day commemorates the 10th anniversary of an Aboriginal-led campaign focused on setting a timetable and commitments to eliminate the life expectancy gap between Indigenous and non-Indigenous Australians. This community-led campaign started in 2008 on the strength of a report by former Aboriginal and Torres Strait Islander social justice commissioner Tom Calma. Closing the Gap, on the other hand, is the name given to the six government targets aimed at achieving Indigenous equity. Each year Australia’s Prime Minister presents an assessment of what’s been achieved over the previous 12 months against these goals. The report has sparked an on-going debate around its relevance and efficacy. Here, six University of Melbourne academics give their assessment. “In the second week of February, the usual anxiety prevailed as the Prime Minister tabled the annual Closing the Gap Report. With a fair degree of hand wringing all round, the main focus was on the failure to get traction on Indigenous disadvantage. Some commentary was more measured and pointed to areas of incremental success. It was a mixed report card. Progress on closing the gap on some measures is not on track, for example, life expectancy, unemployment. On others we are on track to meet targets such as completion to year 12 and child mortality, while progress of literacy and numeracy is mixed. Is the annual performance ritual worth it? To be clear, targets have a place in policy. They are important for accountability and in informing policy and funding. But there is politics and science in the setting of public policy goals such as the Closing the Gaps targets. On the science side it is generally agreed that targets need to be specific and measurable with clear time frames. They set a direction for results but are not the only endpoints and should be supported by more detailed sets of strategies. They should also be achievable. Politics, though, sometimes gets in the way of science. Ambitious targets send a clear political signal of commitment. The risk of overambitious targets that are not achievable is that over the longer term it politically reinforces a message that “it is too difficult”. Weak targets – the ones we are well on the way to achieving – risk the opposite and, significantly, may not marshal the resources needed to accelerate change. And there is a science behind making a judgement of what can be achieved. Look at the trends and underlying patterns. We know from the longer term trends that targets in child mortality are within reach. We need to stay the course, and of course, adjust for unanticipated changes. On the other hand there was always a question in my mind about the goal of closing the gap in life expectancy by 2030. Life expectancy is a measure based on the projection of current patterns of mortality. While there are promising trends in some aspects of mortality – others such as lung cancer deaths – are expected to move upwards for a while given relatively higher rates of smoking in Indigenous communities. “The first 1000 Days – the period of time between conception and a child’s second birthday – is a relatively new idea in development. It articulates the growing convergence in the voices of economists, academics, doctors, parents, community workers and politicians on the importance of early life nutrition, health and wellbeing interventions to catalyse the long-term health and prosperity of families and nations. Internationally, the 1000 Days movement focuses on reducing under-nutrition with early life interventions showing demonstrable and far-reaching outcomes including reducing the human and economic burden of communicable diseases, lessening the risk of developing some non-communicable and chronic diseases, and improving educational achievement. Such reductions have the potential of improving a nation’s overall gross domestic product. While these gains are apparent abroad, we are yet to test the capacity for national initiatives like Closing the Gap to accommodate effective measures, targets and goals during this important period of life. We still struggle to provide effective comprehensive primary health care, access to universal services and support for families experiencing vulnerability. The CTG campaign risks being ineffective over the long term, and undermining the good so far achieved. I am not done with the Closing the Gap Campaign yet. I think we still have a way to go, and can build capacity in families and communities to realise the aspirations that informed the CTG10. We did the same with ATSIC. We called it an experiment after 14 years and we brushed it aside, without keeping the inherent good, particularly the regional support structures at regional council levels. “This target is not on track. However, although no progress has been made against the target since 2008, Indigenous employment rates are considerably higher now than they were in the early 1990s. The Closing the Gap report is confusing on Indigenous employment rates, and has been misinterpreted in the media. The most significant finding on progress in closing the gap in Indigenous employment in the 2016 report makes the point that ‘There is a strong link between education and employment – at high levels of education there is virtually no employment gap between Indigenous and non-Indigenous Australians’. So while the report has given the impression that no progress has been made on the target to halve the gap in jobless rates, if we dig into the data more, we see that there has been success. 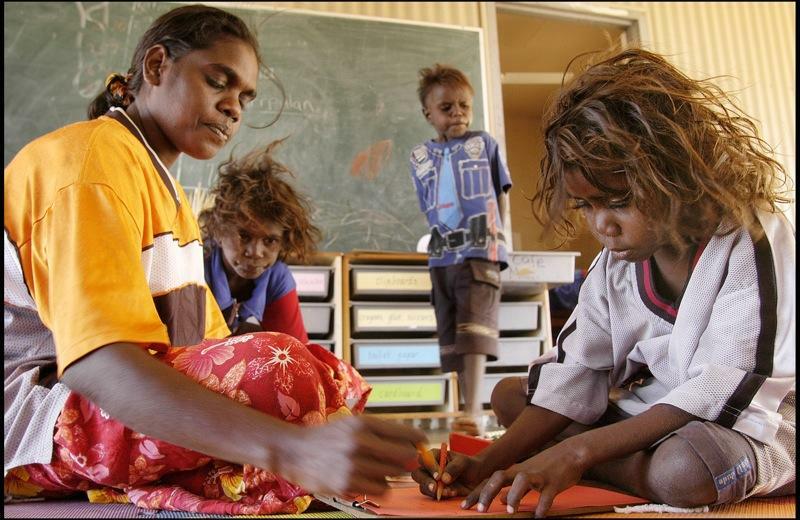 For Indigenous Australians who attain a high level of education, there is no employment gap. Education standards are the determinants of employment outcomes, and geographical location is significant – Indigenous employment rates are considerably higher in the major cities than in remote areas. The CTG report notes, after its initial pessimistic account of change in Indigenous employment rates (on the basis of no new data since last year), that Indigenous employment levels are considerably higher now than they were in the early 1990s. Softening of the labour market has impacted adversely on the employment prospects of all Australians by about 1 per cent, and cut more deeply into Indigenous employment rates. 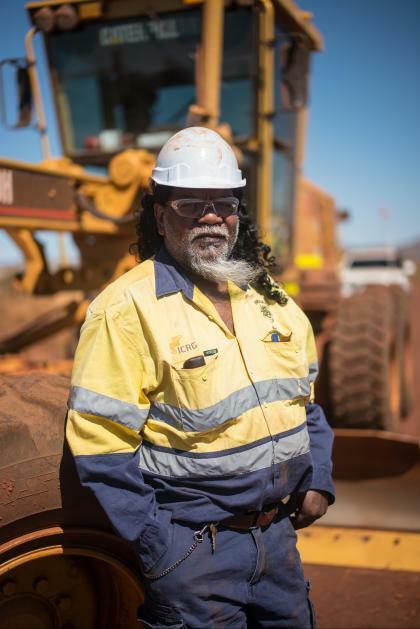 The steep decline in the statistics for Indigenous employment is attributed to the demise of the Community Development Employment Programs (CDEP) scheme, but this should be compensated for by the new Indigenous Affairs employment programs in the Department of Prime Minister and Cabinet which are showing success. 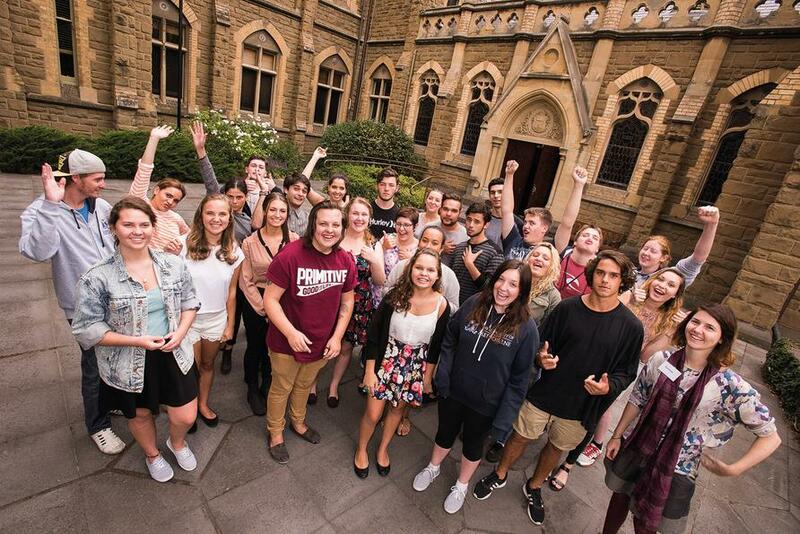 In the period 1 July 2014 to 31 January 2016, there have been 24,137 job commencements as a result of a range of tailored assistance grants and programs such as those offered by the Vocational Training and Employment Centres (VTEC), the Community Development Program, and the Employment Parity Initiative which involves partnerships with corporate Australia. For the vast majority, payment to employers is only provided on a 26-week continuous employment outcome. This is an outcome of the Forrest Report which recommended that entities receiving assistance grants be paid only on employment results. “Targets measure the health of the system and can be useful, but they must also be meaningful. Attaining 100 per cent or 97 per cent of attendance, for example, does not necessarily mean student learning has improved. Most teachers can name students who attend and learn little – the key is engagement on all levels and with all people concerned in student learning. We need a national strategy integrated with state implementation, one that is evidence based, consistent, coherent, and focused on high quality academic outcomes. For example, an outcomes framework that straddles a number of areas focused on achievement, safety, health, belonging and participation would be useful. A conversation about what we mean by these outcomes needs to be driven by Aboriginal and Torres Strait Islander people. We can then decide what the indicators or measures are, identify what we need to do get the job done – for example, who is responsible for the outcomes in which sector (like health, education, or other social services) – and from there, know when we have progressed towards the required outcome. With regard to education, implementation strategies must be determined in partnership with communities that can be monitored, measured and transparent – everyone needs to share data and report each year to the public. Attendance measures nothing of value. We must find measures of quality too, focusing on questions such as how we measure the quality of teaching and curriculum Aboriginal and Torres Strait Islander children are getting access to, how we recognise and support a school’s connection to community, and the extent to which family has been included in conversations about learning with their child and teacher. “Year 12 achievement and literacy and numeracy are crucial to improving both short and long-term outcomes for Indigenous people. But there are some challenges in adopting measures like these as indications of success. For example, instead of celebrating the important gains that have been made in these areas, there is also persistent narrative of failure. The assumption that we need to ‘catch up’ to non-Indigenous Australians tends to override any conversation about Indigenous rights and cultural diversity, and perpetuates myths about deficit and disadvantage. To my mind, the Closing the Gap approach – the agreements, the data sets, the targets that underpin it – has become an exercise in reducing Aboriginal and Torres Strait Islander people to a set of indicators. Targets can be a useful way to measure progress and regular reporting can keep issues on the political agenda, but making sure we have the right measures of the right issues is important, and I’m not convinced that the CTG approach is the best we can use for education. The problem is that the CTG targets have a ‘common sense’ appeal. This is problematic when it comes to complex socioeconomic and cultural issues. The education targets (early childhood, school attendance, literacy and numeracy, year 12 attainment) perpetuate the myth that these targets in particular are the most important factors in determining academic achievement. In fact, attendance doesn’t measure quality, and NAPLAN doesn’t measure achievement relative to starting point – these targets make it difficult to know about the quality of education Indigenous students are receiving or the quality of relationships between schools, parents and communities that support engagement, or how well Indigenous perspectives are included in curriculum. “The rates of trachoma in children in outback communities have fallen in five years from 14 per cent to less than five per cent due to community activities and health promotion and the efforts of well-organised teams that provide screening and treatment. 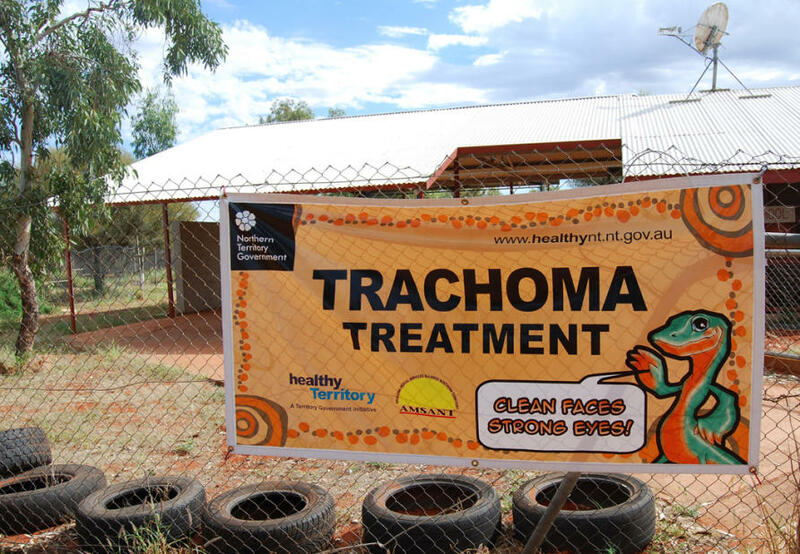 To eliminate trachoma by 2020 the University of Melbourne’s Indigenous Eye Health Unit (IEH) has helped build partnerships across sectors and implemented an integrated health promotion initiative. Significant progress is being made to close the gap for vision which forms 11 per cent of the health gap. The success the IEH has had in pursuing a target-based approach is that, unlike in the political environment where programs rely on the vagaries of funding and are consequently prey to changes in direction, we have been able to maintain a clear and consistent focus based on strong evidence. A set of specific and widely-accepted solutions have been able to be developed and adhered to attracting multi-partisan support. And, over all, a lot of persistence has been expended to ensure that our goals can, and are, achieved. Four state-level coordinating committees for Indigenous eye health have been established and the coordination and strengthening of regional eye care services is proceeding in 15 regions. To promote timely and equitable access to eye care, jurisdictional fund holders are currently assessing the need for further strengthening outreach services. Diabetes is a major cause of vision loss and blindness in Indigenous people, yet up to 98 per cent of this is preventable with early detection and timely treatment. IEH advocates for the inclusion of eye health in care plans and for a new Medicare item number for retinal screening, which is yet to be implemented. IEH developed culturally appropriate and relevant resources to raise the awareness of eye care in diabetes following an iterative, multi-community approach. A recent analysis by PricewaterhouseCoopers showed that current funding is inefficient, in large part because of the many ‘leaks’ in the pathway of eye health care (‘the leaky pipe). Currently each $1 spent on eye care only returns a 90¢ benefit. The efficiency gains from each $1 spent on full implementation will give a $2.50 benefit.